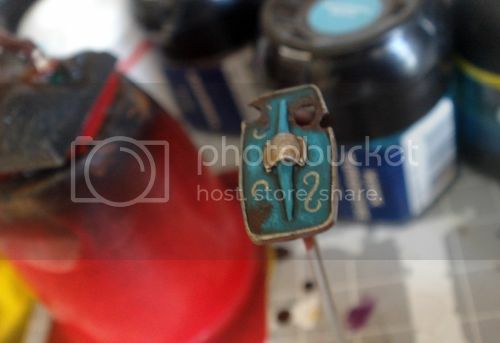 Another year of hobby is coming to an end, and it's time for a look back over 2012 before it slips out the window forever. It's been a very fimir flavoured year, this one. I started the project in 2011, but it only really took off about half way into the year. Most people would have churned out the entire army and started into the next one by now, but allow me to regail you with a variety of excuses as to why this didn't happen. I am a slow painter. I'm converting about 90% of the army, in many cases sculpting parts from scratch. I have two small children. For those gamer dads out there, this bullet point will be more than sufficient excuse to explain my tardiness. I have a very small amount of hobby time. I gnash my teeth in jealousy when I read posts about people having all weekend to work on their army. B*stards. So, look at all my excuses, with bullet points and everything. 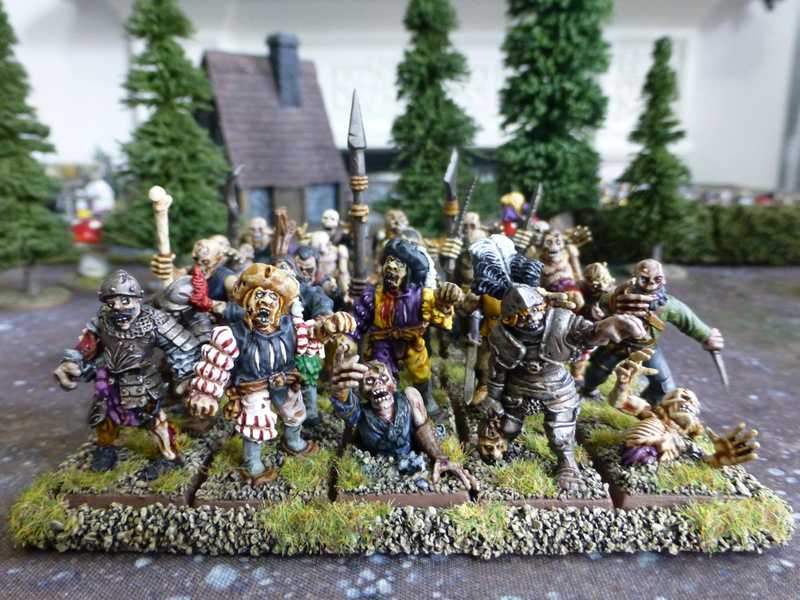 With this army, however, I am monkinshly ignoring any other projects (bar one massive exception. Well, maybe two.) until I have the army at 2,400 points. So, what did I get done this year? I finished the first fimm unit. This was the first unit for the army, and was heavily converted. It took an insane amount of time to finish, being started in January 2011, and finished Summer 2012. It didn't really get off the blocks until Summer 2011, but that's still the bones of a year. A YEAR. For one unit. I did assemble two other fimir units to primed level during this time as well as a chaos dwarf destroyer. And I painted some terrain. Still. After this, I decided to treat myself to one of the fimir characters. I've had the meargh model since the mid nineties, and she finally came to the painting table. She was very fun to work on, especially her base, and I'm extremely happy with the result. 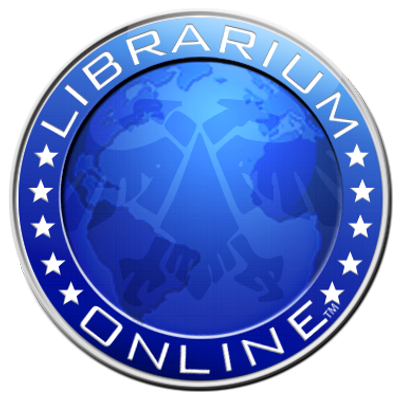 I got some great feedback on her from folks both here and on the forums, which directly contributed to the staff conversion. She still needs a floating stone altar to sit her on, but that's for another day. Delirious with joy after getting a unit done in less than a calender year, I took my fimir to their first tournament, where they performed well considering I had not practised with the list one whit. It was very nice to get them on the table and motivated me to get on with the army. After this, I had to park the fimir to paint up a massive bloody castle for a friend of mine. Somehow I had agreed to paint the thing for him and so it was out with the big drybrush and some thousands of years later one Hudson & Allen castle and keep were done. A great kit, I must say, lots of detail but still easy enough to paint. Once this was done, I considered the next fimir unit to work on. The options were the half-dead, the human tribesmen or another character. I also received my fimir heads cast in resin about this time, which made me quite happy as the detail captured was pretty fantastic. In the end I built both some half-dead test models and the fimir character, a low level wizard this time. He's going to be a lot of fun to paint. Once I primed up the models, I decided to plough on with the half-dead, as I need to get the blocks done to bulk up the army, which brings us up to date. At the moment I've painted three members of the unit, and am currently assembling the rest. The filler is going to be particularly fun, the fimir slave driver whipping his undead charges into battle is probably my favourite model from the unit. So, there you go. A small amount for most gamers, but fair to middling for me. 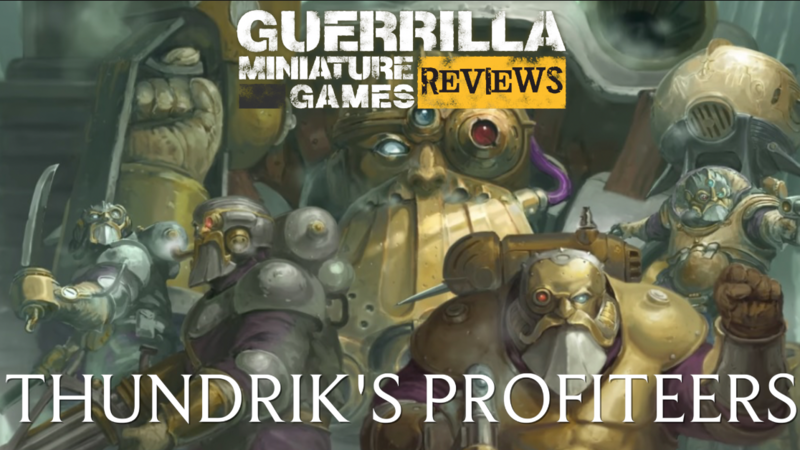 It must be noted that the feedback and advice I get from here and the various forums is invaluable to me, both on a critical level and as a source of continuing motivation, because let's face it, doing an all converted fimir army is not the easiest project one could undertake. 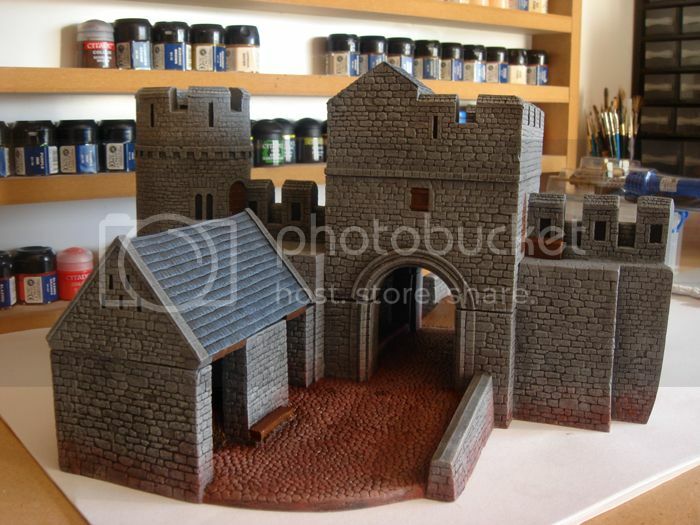 But I'm devoted to getting the army done, the crucial target being September 2013. It's going to be a busy year on the Mumblings next year. With that, I bid ye a merry Christmas and a delightful new year! No doubt the mounds of resin, plastic and metal will reach new and dangerous heights over the holidays. 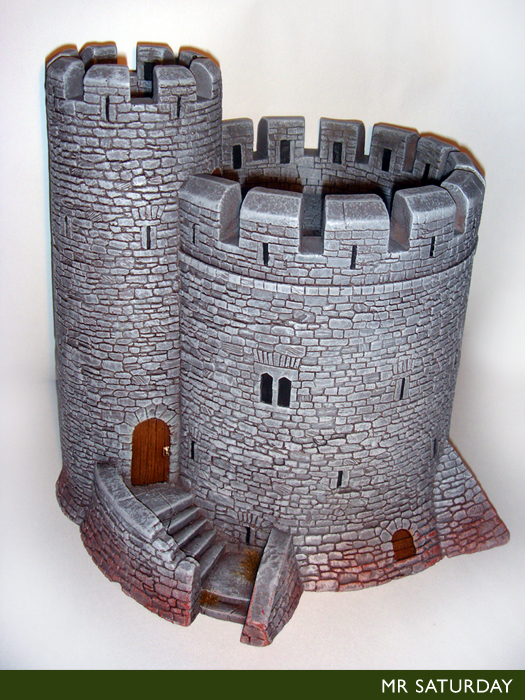 Remember, being crushed by a collapsing hill of sprues is not a dignified way to check out, so mind yerselves. Another two test models complete my fiddling about with the half-dead colour scheme. The skin tone I think I am finally happy with. It's dark, like a bog body, but still light enough to take some highlighting and show some definition on muscles and such. The bone adds a nice contrast, as does the glowing eyes. I think that the glow is now a vital part of the scheme, as they most of the tones are very earthy and it needs something to jazz it up. This is the same reason the shield is turquoise. Celtic shields were very colourful anyway, and a few of these in the unit with varying designs will add a nice bit of colour. I'm quite happy with the champion. A slightly awkward model (actually an old Celtos model), yet I am very fond of the sculpt, and he suits the theme of the unit well. This lad was a real test. 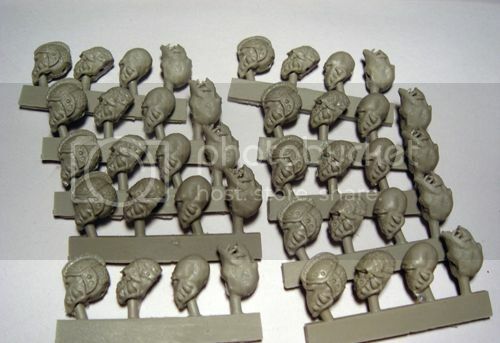 There's a few models in the unit with smashed skulls and the like, so I wanted to use this to have the glow spilling out of any cracks in the head, not just the eye sockets. I think I like it enough to use it on the rest of the unit. I also love the way the solder pen melted the plastic on his abdomen, arms and back, the wounds and decay look really convincing. I'm a big chaos dwarf fan. More so the old school spiky stunties though, truth be told. 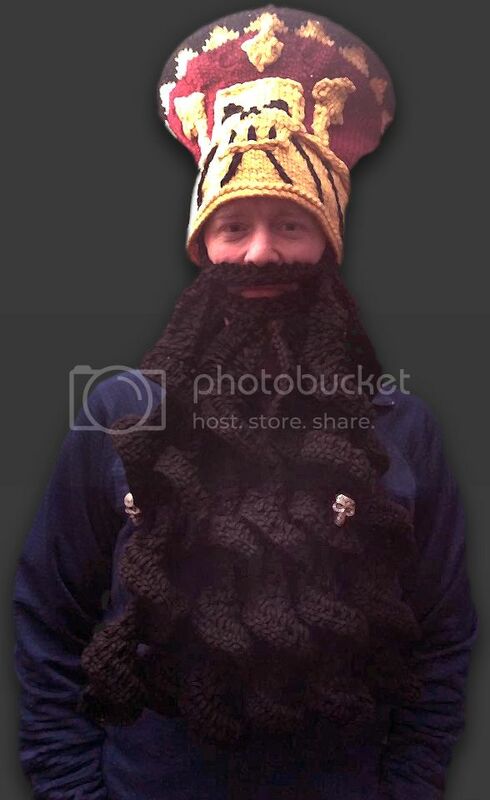 However, when a good friend offered to knit something chaos dwarfy for me, I couldn't resist but go big hat. Never in my wildest dreams, however, did I think she would produce such a tall-hatted thing of beauty. Behold. (It's not me modelling, I'll have to wait a few more days for that.) Is it not glorious? The photo wasn't great, so I've jigged it a bit. 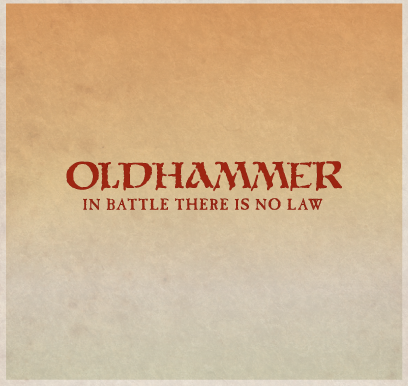 My next outing with the Dawi Zharr will be most interesting. 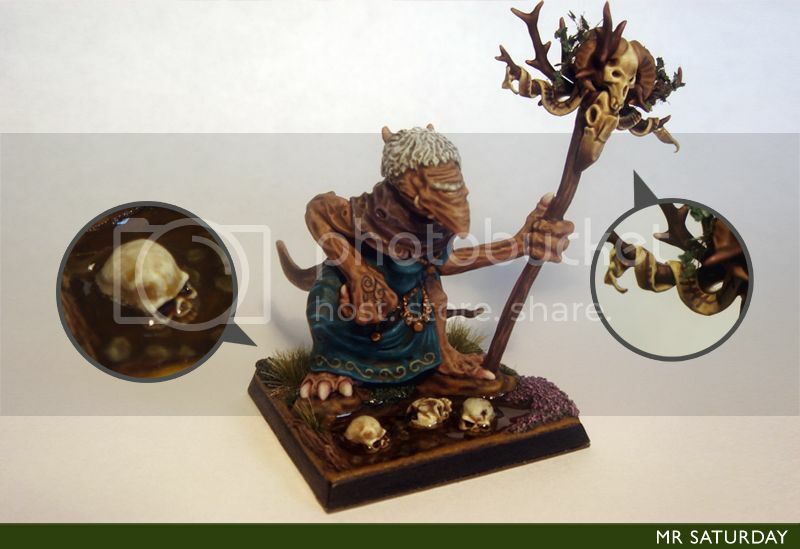 In other news, Mantic have released work in progress shots for more of the kickstarter models. 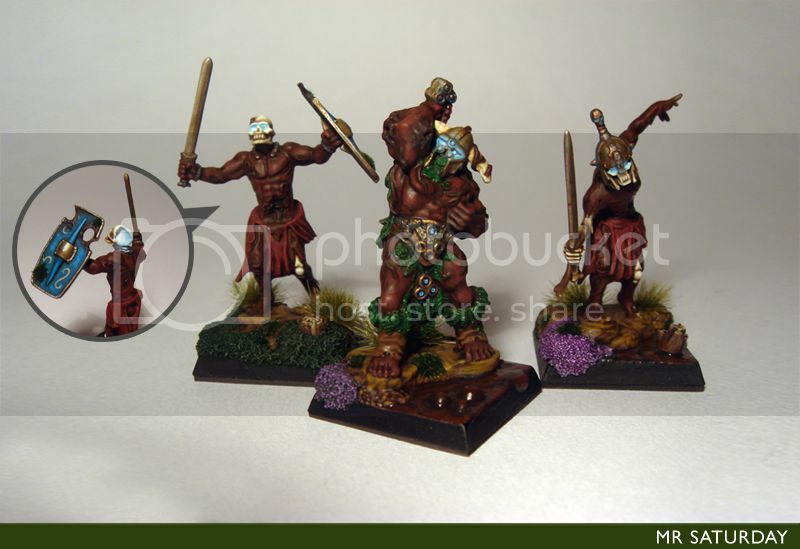 I saw the ogres a while ago, and I was impressed, they look cool. More pictures went up more recently, of the abyssal dwarf golem and the werewolf. I was eagerly anticipating both of these as a unit of werewolves would make a nice addition to my vampire counts army, and the golems for k'daai fireborn. Looking at the shots though, (and I know they are wip) I was deeply disappointed. I'm a fan of Mantic. Their zombies are just great, I'm using them on my current project. But these two images do not fill me with joy. What's the werewolf doing? I mean, the physiology is good, if maybe slightly cartoony, but the pose is terrible. He looks like he's trying to catch his breath after doing the 100 metres. "AaaAAach.....Fffff! Stitch! Hang on, be with you in a minute....aarroooowwwcchh!!" The golem. I hope it looks better down the road, as it looks pretty awful here. Maybe it's the photo, but it just looks terrible in this shot. I don't want to be too damning as it's still wip, but I'm worried. It is Bob Naismith sculpting it though, so there's hope yet. Come on Mantic, you can do it guys. 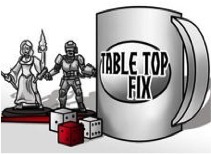 Earlier in the year I had a chance to play Fantasy Flight's Bloobbowl Team Manager, and I have to say, I loved it. Simple rules and fast paced gameplay combined with the inherent comedy of Bloodbowl make for a win. The only thing that I felt missing was my beloved undead. 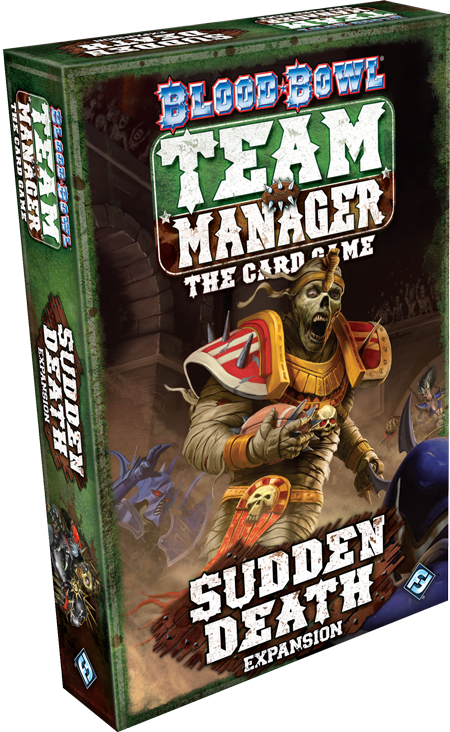 Fantasy Flight Games is pleased to announce the upcoming release of Sudden Death, a bone-breaking, pulse-pounding expansion for Blood Bowl: Team Manager – The Card Game! This death-defying expansion brings a host of options to the pitch, including three new teams, new Contract payouts, new enchanted balls, and more. The Dark Sorcery Syndicate union features dabblers in forbidden magics who just don’t know when to stay down. 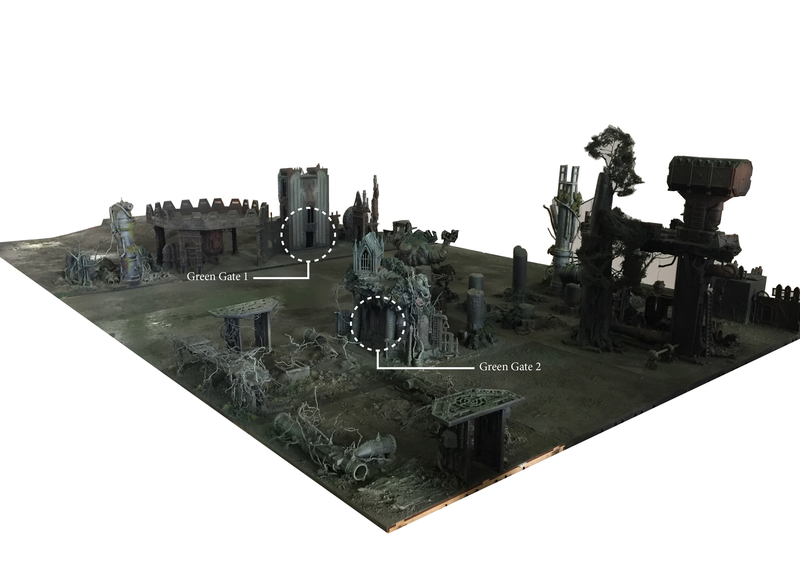 The undead Champions of Death tear up the pitch – sometimes literally as they raise new zombies and skeletons from the corpses of former Blood Bowl players. The vampires of the Black Fangs are always thirsty for victory (and blood). And the Dark Elves of the Naggaroth Nightmares are happy to give both teams plenty of fresh corpses with which to play. Sounds good! This'll be getting stuffed in my Christmas stocking, let me tell you. Yesterday I laid out the basic army list I'm building toward for the fimir of Albion army. This is the minimum I need to play a 2,400pt list, but gives me no room to change up the list. I did mention some extra units I'm planning to work on to add to the army once this first 2,400 points are done, and today I'll go into a little more detail on them. At some point Balor will have to be included in the force. I have some definite ideas on how I want him to look. Like a giant fianna fimm, but more gnarled. He'll be decked out in the finest of armour and gear, possibly leaning on a great double-headed axe. The focal point of the model will be his baleful eye. Unlike all the other fimir, it will be a yellow, literally burning eye (possibly weeping some molten burning fluid like the mixture from a flame-thrower after a burst). The base will have the remains of Balor's latest incinerated victim smoking on the ground. A hobby challenge to be sure, but an exciting one. 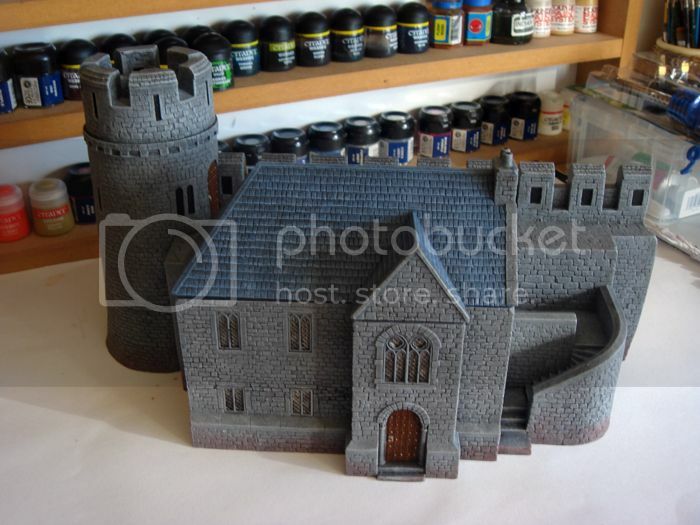 I'm not overly sure how these will fit into the list, as they are a bit large for a 25mm base. I may need to put them on 50x50 base expanders as with the Meargh. 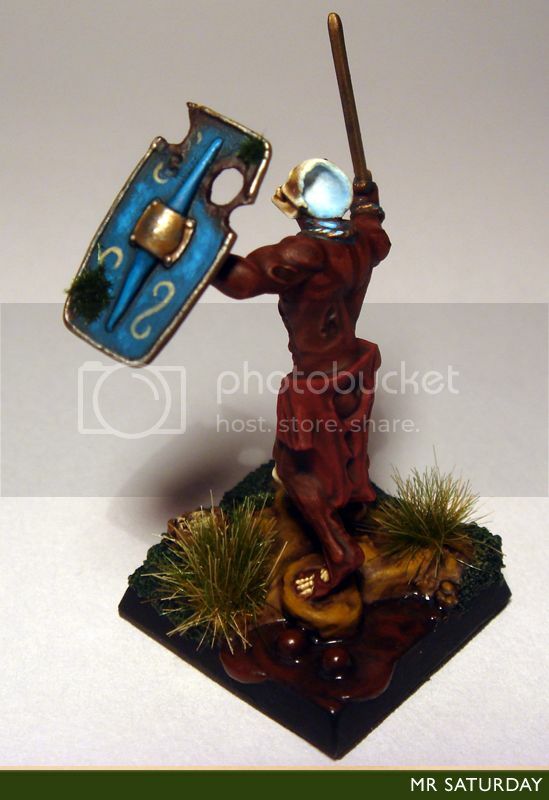 I intend to build a second fimm unit, as I think to have any list flexibility I need a second warrior unit. Think fantasy human Celtic cavalry and that's it. I need mounted troops, but fimir on horses doesn't work for me. A unit of fenbeast is something I've wanted to do since the army idea first sprang into my head. I have five of the old fenbeast model, and I plan on adding some similar models from other ranges and perhaps a swampy unit filler. I picked up a Celtos chariot which does the business for this. I'm considering a fimir noble in the back, with a human charioteer driving. I have two units of these planned, one of six and one of eight. The first unit of six in assembled and primed. I'll have to put these on hold until I see the new book. 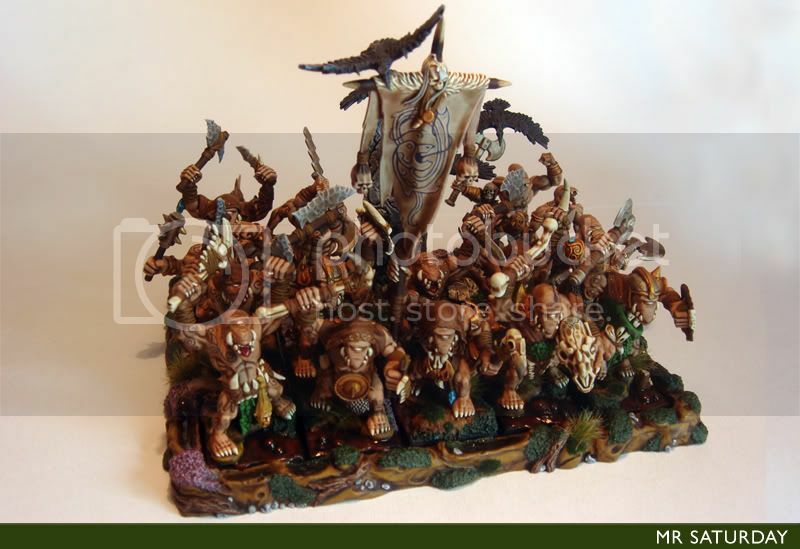 I guarantee the dragon ogres will be on demigryph style bases, which may change things a bit, model wise. I'm also planning on running some of these fellows as humans possessed by wyrm daemons. They are gloriously revolting, perhaps I'll run them as trolls. I can't wait to paint these guys. They won't be available until May 2013, sadly. This guy will be a daemonmaniac. 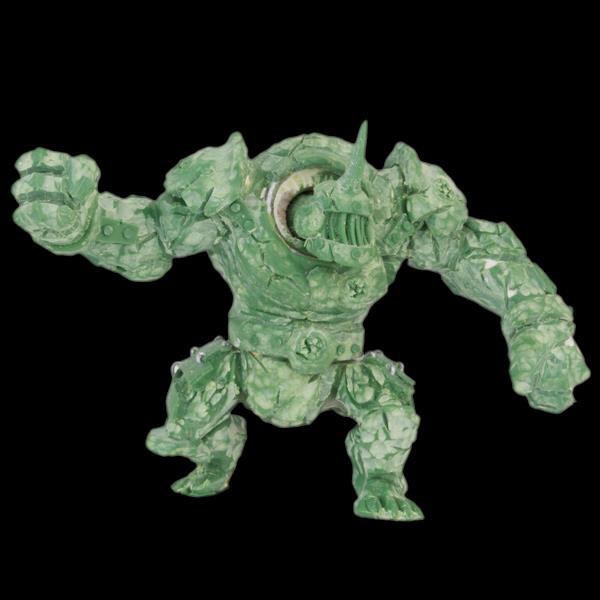 He may be a bit small, I think he's about 80 -100mm tall, if so I'll convert a giant to emulate him. He's so nasty, and I do like the idea of a giant possessed by a massive daemonic wyrm. Like the ultimate case of tapeworm. A fimir deity, Kroll is a daemon prince. 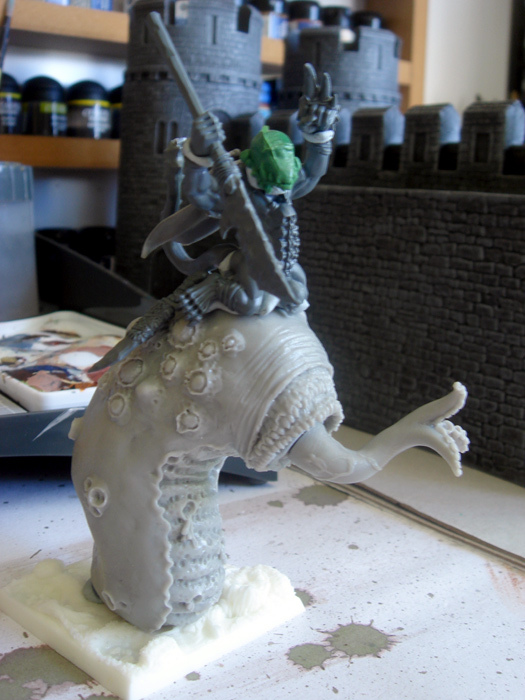 This model will be enormous, and should look rightly groovy on the table. These last three models are from Troll Forged Games' upcoming Assimilation Alien Host range. I'm fiending to add these guys. I have the test model mocked up, and I'm liking how it's going. It'll probably be the first unit I'll add once the basic 2,400 points are done. 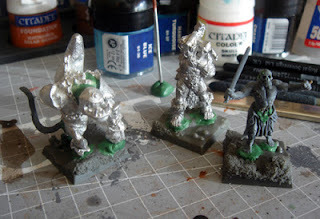 5 chaos hounds x3 - Human with warhound pack or fimir beast handler with fenwyrm swarms. So, as you can see there's a fair bit of work to do, the tribesmen being the biggest unit left to begin. There are some other units I want to add, the Marlwyrm riders (skullcrushers), another unit of fimm, fianna fimm (ogres) trolls, (fenbeasts) and a few more. A lot will depend on the new book too, but for now, that's how the model list looks. I've been reading the hype and looking at the various glossy images of the new Hobbit releases without too much enthusiasm, I must admit. I don't know what it is. I love the Lord of the Rings, and I the a goodly amount of the models, but it just doesn't stir me with hobby lust. From many accounts, The Lord of the Rings Strategy game is actually a lot of fun, but I've never played it, and very, very few of my gaming circle has either. Maybe that's why I'm not feeling it. The only thing that comes close to piquing my interest is the 'Escape from Goblin Town' boxed set, and only so I can loot the contents for other games. Those walkways would make great Mordheim terrain, for example. But, when I cast my eye over the goblins, I did see something I might in fact, buy. They are the most maggoty, wretched goblins I've ever seen. Wonderful. Immediately a myriad of uses came to me for these ragged little bleeders. The first thing that came to me was ghouls. 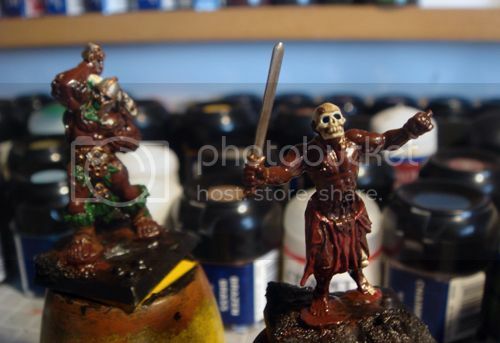 With the right paint job, these lads would make first-rate ghouls. They'd make fine zombies, or even plaguebearers. Nurgle-tainted gnoblars for those chaos orgre armies, mutants, plague zombies for 40k, the list goes on. Amazing the wealth of uses a little gobliny bag of pus can be put to. Good morning my little mumblites. 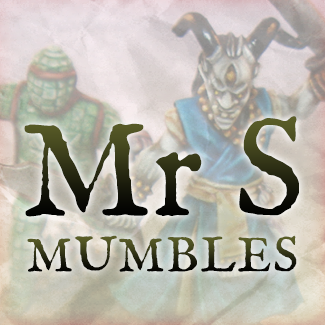 Mumbleites? Anyhow, there's been some break in service of late, partly due to the usual pre-Christmas work madness and partially due to my being struck down with a Winter fever the likes of which I've never experienced before. Parts of me hurt I wasn't aware I had. My hair hurts. I know people say that to emphasise how much pain they are in, but no joke, my hair actually hurts. Anyhow, ye don't care about my hair. There's been little progress with the half-dead, but there has been some. Here's a wip of the next two models, one of which is the unit champion, Sreng. They still need a whole pile of work, but there they are. There's also one of the shields. I'm pretty happy with the colours, as the turquoise appears throughout the army, and also gives the half-dead a much-needed boost of colour. The shield will have some moss or weed growing about it when it's finished. Each shield will have the same colour scheme, but the designs will vary. In other news, look what arrived at chez mumble recently! Yehaa! This gives me enough heads to finish the army. (There are more than shown here, to give you an idea of how big this army will get.) I'm super extra happy with them. Things will probably slow down a bit as we run up to Christmas, but hopefully I'll get a few more models out the door before the end of the year.